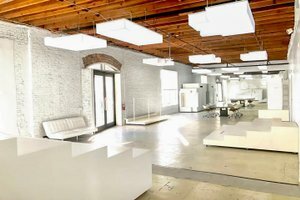 This multi function space is in the heart of Los Angeles Downtown Arts District. 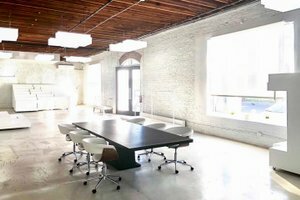 This space is a multi function space with a single, unexpected move for screenings and performances. The 9 art form modular units in white and boxy are minimalist in design create a perfect long staircase when wheeled together on castors. When the staircase is split open, each of the components fulfills a specific function, transforming into product displays, fitting rooms, seating and a cashier area. The modular moveable parts that can support very many types of private zones, as well as event space. 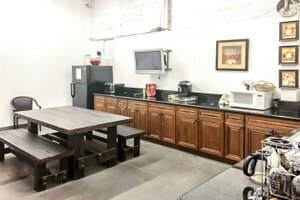 The spacious retail interior consists of whitewashed brick walls and concrete floor and a large back office, workshop, conference room, stock room, kitchen, and bathrooms. 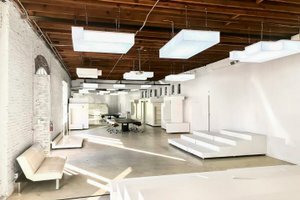 This beautiful space is perfect for Pop-Ups, brands, productions, photoshoots, art exhibitions, showrooms and so much more. 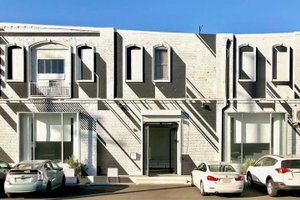 This space neighbors in Downtown L.A.’s trendiest neighborhood with many favorite places to eat, drink, shop and explore.